No matter how successful a company has been in operating forklift trucks safely, there is always room for improvement when it comes to health and safety. 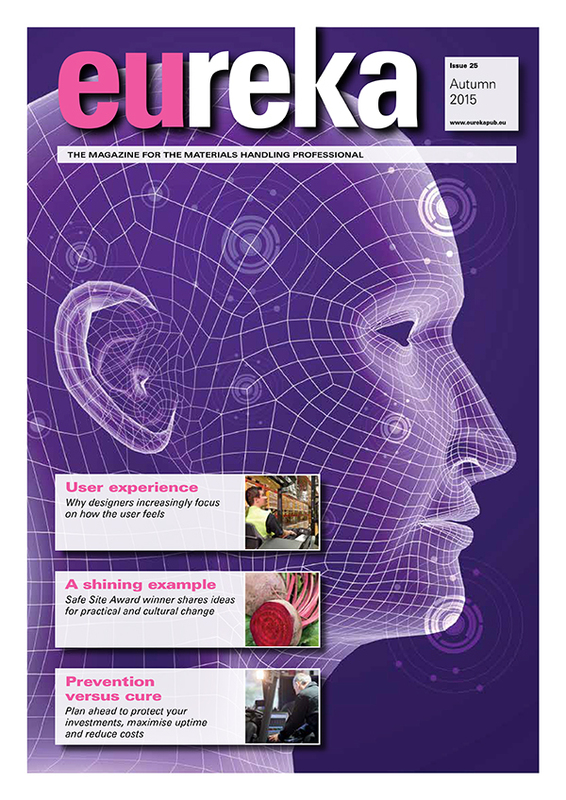 With this in mind, eureka is keen that good ideas should be shared between users through case studies. Mark Nicholson reports on one business whose efforts to increase site safety have won a major award. In 2015, G’s Fresh Beetroot, based in Cambridgeshire, England, was presented with the Safe Site Award in the prestigious FLTA Annual Awards for Excellence. This honour is awarded by the FLTA (Fork Lift Truck Association) to recognise teams who have looked carefully at their sites, studied the way in which lift trucks are used there, identified any weaknesses, taken remedial action, and shown improvements in their safety records as a result. 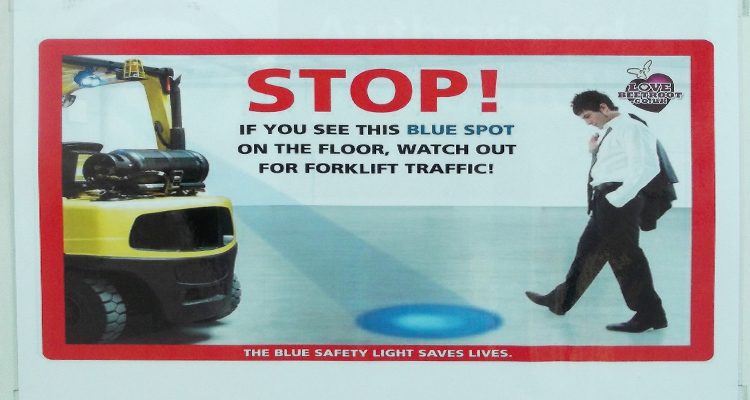 The first aid to warning pedestrians of approaching lift trucks was a light system, fitted to each truck, which shines a clear blue spot on the floor several metres away in the direction of travel. Flashing beacons are also used to alert workers to the presence of forklift trucks in an area. 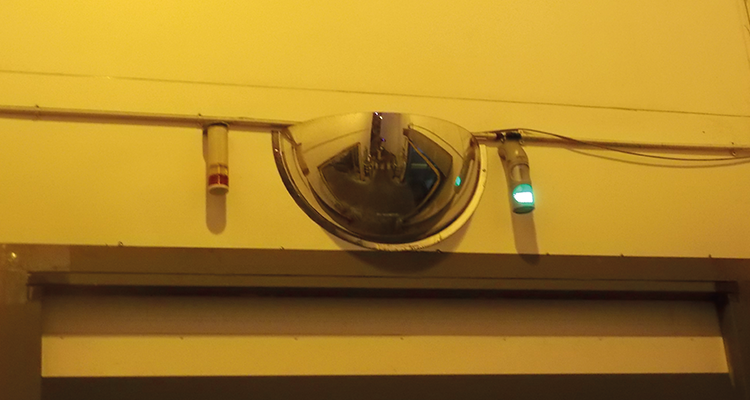 In potentially hazardous aisles, corners and blind spots used by both pedestrians and trucks, two-way traffic light systems have been installed. A truck operator can set a red light to keep pedestrians away until the area is safe, and in the same way a pedestrian worker needing access to the area can set a red light to keep out trucks. 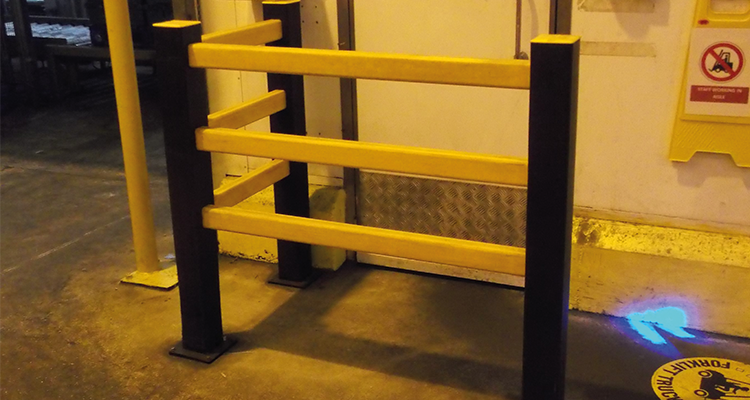 Where pedestrian barriers were needed, the company chose A-Safe products. The number of mirrors on the site was increased, to help operators and pedestrians see around corners and obstructions. At the same time, extra signage was added to warn of hazardous areas and to reinforce safety instructions. Sometimes the answer to a safety problem lies in a very simple practice rather than high technology. 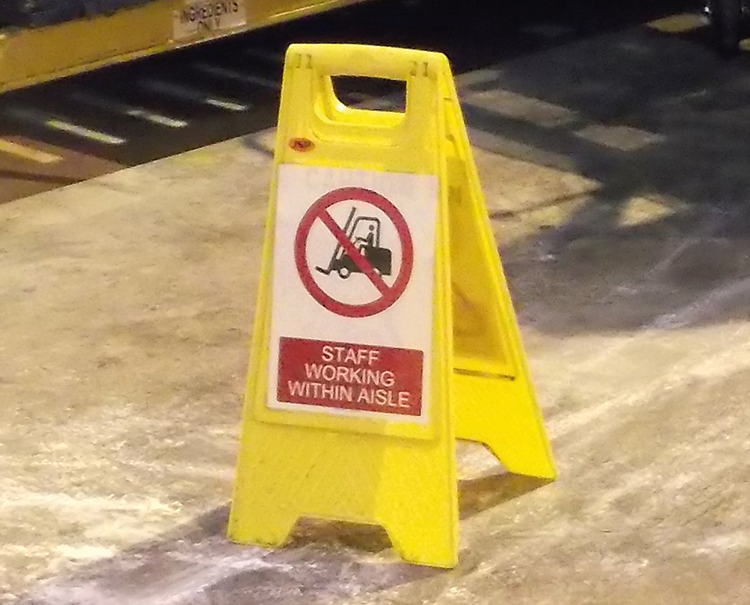 When pedestrian workers need to enter a warehouse aisle to inspect products, they now place a movable sign at the end of the racking which tells lift truck operators to stay out. If the operator urgently needs access, he or she can walk over and ask the pedestrian to stand somewhere safe until the truck passes. “Details of forklift-related incidents can now be recorded quickly, easily and efficiently via smart phones and tablets, giving us vital information on which to base further improvements." Training is always essential to site safety, so G’s decided to invest in sending its Despatch Manager on an approved two-week course to gain an instructor qualification. This has raised the level of supervision on site and it allows him to test and train his team of 12 staff. He is now able to challenge any unsafe activity and to retrain operators immediately, when necessary, so that they always work to the highest standards. G’s insists that drivers of vehicles visiting the site should also follow its safety rules. On arrival, the driver signs in using a touchscreen system which transmits information to a tablet on the relevant forklift truck. The lift truck operator is then aware of the type of goods being delivered, and whether they are hazardous, and is able to take the required action including supervising the vehicle’s entry. 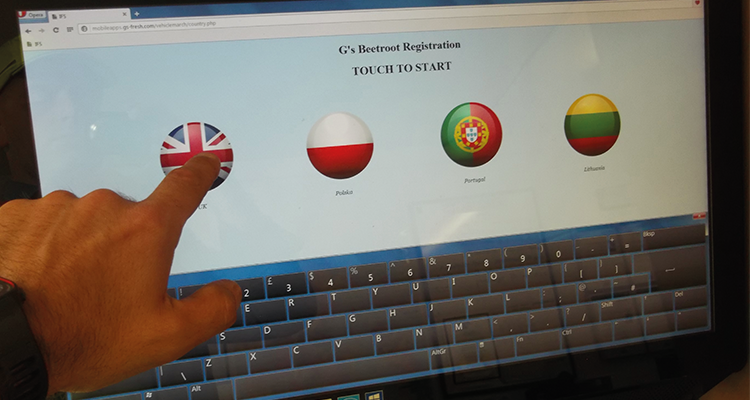 Displayed in four key languages, the sign-in programme has been written especially for G’s and it includes the site rules which the driver must accept before entering. The company has adopted a behavioural safety programme in which forklift truck operators are encouraged to have ‘safety conversations’ with their colleagues and document them. These may result from, for example, observing an unsafe situation or an especially good practice. Operators scoring high numbers of conversations and taking the best corrective action are recognised in quarterly awards. As G’s has discovered, suppliers and other professionals can be excellent sources of information, ideas and advice on safety. John Speck, Health and Safety Manager at Impact Handling, the UK and Ireland distributor for Cat® lift trucks, offers the following ten tips as a starting point. Do you have good health and safety ideas to share?